TV with Thinus: Former SABC CEO, Solly Mokoetle, missing after mysterious late-night meeting; disappeared in his payamas on Friday night from his Durban home. Former SABC CEO, Solly Mokoetle, missing after mysterious late-night meeting; disappeared in his payamas on Friday night from his Durban home. 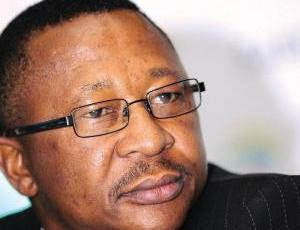 Solly Mokoetle (59), a former SABC CEO and currently the head of South Africa's digital terrestrial television (DTT) programme, is missing after he mysteriously disappeared on Friday night. Solly Mokoetle who's full name is Michael Solly Mokoetle, was the SABC CEO until he was suspended and resigned from the public broadcaster like numerous SABC CEO's before him. Until his disappearance on Friday night in his payamas, Solly Mokoetle has been the department of communications' head of the DTT programme, supposed to oversee and implement the South African TV industry's long-delayed switch from analogue to digital television, a process known as digital migration. In a statement the minister of communications, Faith Muthambi, says she has been in contact with Solly Mokoetle's family after he mysteriously went missing this past Friday. "Since his disappearance on Friday 17 June the department has been in touch with his family in an effort to assist with attempts to locate him". "As the ministry of communications we are concerned about his welfare. We call upon anyone who may have seen him recently or know about his whereabouts to contact the family or the police," says Faith Muthambi. According to Solly Mokoetle's wife Zola Mthuli, Solly Mokoetle has not been seen anywhere the past 4 days. His cellphone, wallet and all his belongings are in the house. Solly Mokoetle went to the gate of his house in Hillhead Drive on Friday night at 22:30 in Mount Edgecombe, Umhlanga in Durban in his payamas to meet someone at the gate. Solly Mokoetle never returned to the house and by 01:00 on Sunday morning Zola Mthuli realised something must be wrong and reported a missing person's case.